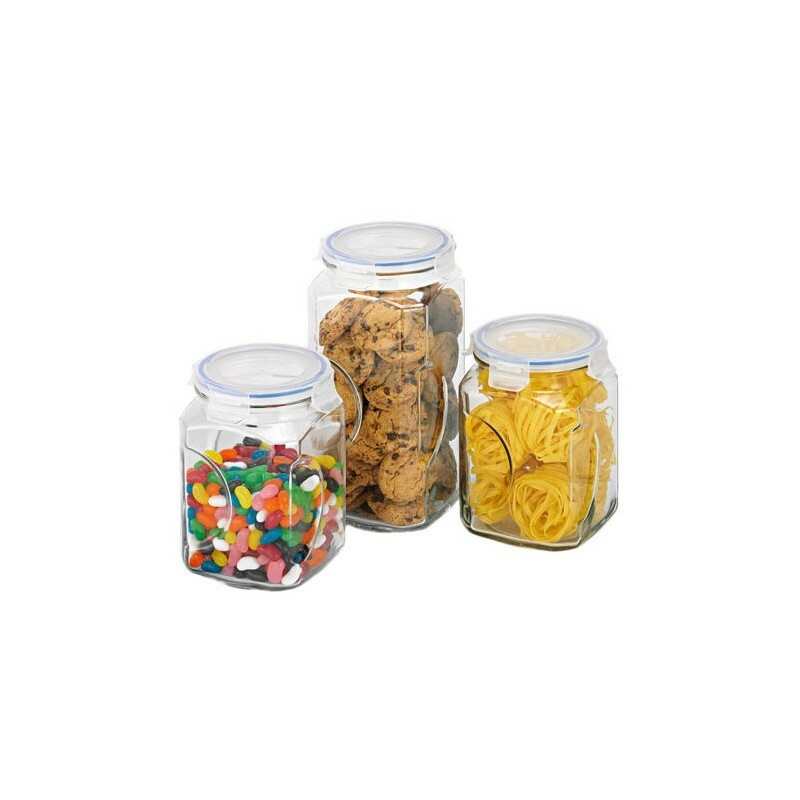 High quality safe glass food storage containers with easy open and clip shut BPA free plastic lid. Air-tight & leak-proof. Designed for keeping food stored and fresh. RRP $69.95. 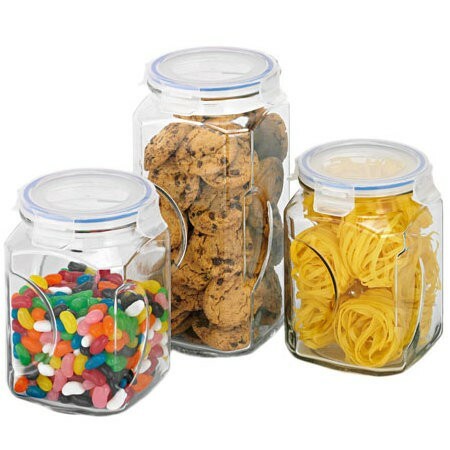 High quality safe glass food storage containers with easy open and clip shut BPA free plastic lid. Designed for storing food and keeping it fresh with an air-tight and leak-proof BPA free easy clip lid. Glass is safest for food with no leaching or contamination. Fridge and dishwasher safe. Set of 3 tall canisters. Top rack dishwasher safe and refrigerator safe. Not safe for the oven, microwave or freezer. Really like the size and shape of these containers and the glass lock closure is really effective but still easy to open and close. Have 2 sets, but keen to have more. They are really good quality, keep things fresh and have a nice big opening. I have 4 sets of these, really great for keeping things fresh. Measuring cups can fit in the openings and they just go through the dishwasher.